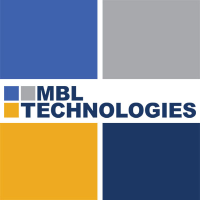 MBL Technologies Inc. is a Service-Disabled Veteran-Owned Small Business (SDVOSB) that specializes in information assurance, program/project management, enterprise security, and privacy. As a small business, MBL’s growth comes directly from our deep understanding of business, project, and information security industries; experienced and dedicated staff; and MBL’s investment in its employees. The MBL environment is expressly designed to inspire all employees to put forth their best. MBL leadership and staff continuously recognize individual successes, milestones, and contributions, and make a point to celebrate these achievements together. MBL maintains an active calendar of company and community-based events to strengthen our unity, skills and expertise, and continue the unique MBL work-life-fun balance that makes MBL a great organization to be a part of and place to work.